Any of our regular customers will know our trusty old red VW van. Well it has become rather more rusty than trusty lately so we have decided to buy a new one. 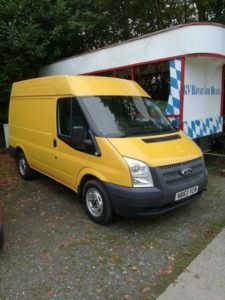 If there is one thing we hate here its white vans so this time we have gone for bright yellow! We hope it brings a smile to our customers faces as it arrives with their new sofa. And as it is LEZ compliant we can now venture inside the m25 with it.